I visited Kings Place, a building on York Way, near Kings Cross Station. It contains offices, a cinema, places to eat, galleries etc. 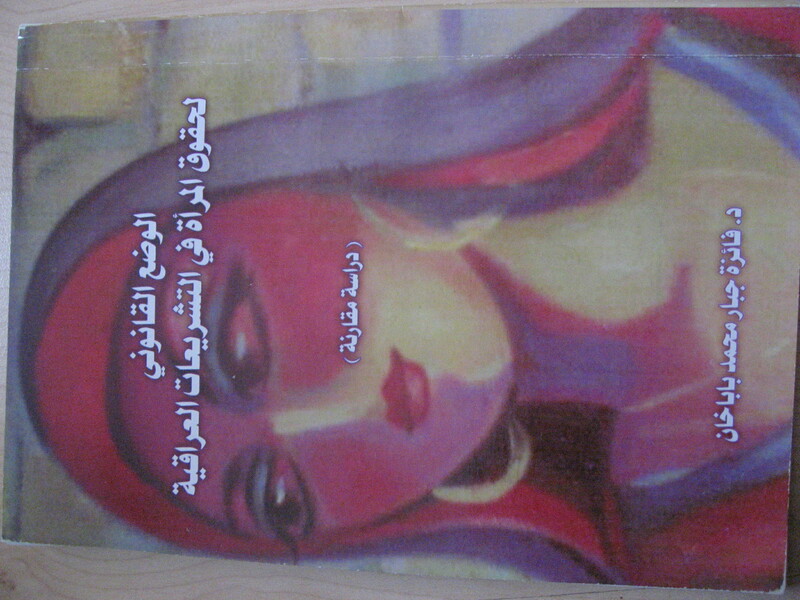 I finished reading a book in Arabic by Dr. Faiza Babakhan. It is about her research on legislation law for Iraqi women . It was also a comparison of studies with other countries, especially in the Arabic countries. I hope it will be translated in English for other people to read. 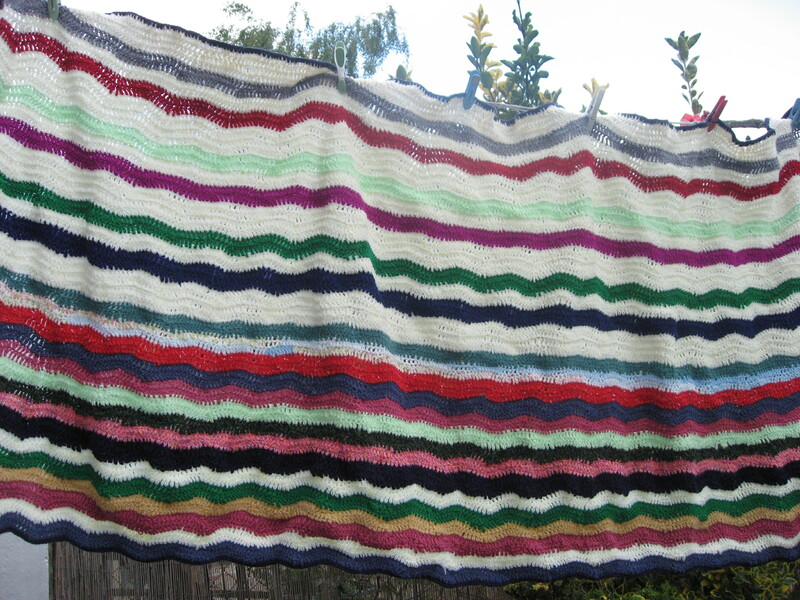 I have lots of different kinds of wools and crochet threads which I have collected for many years. They take up a lot of space around the house! I try not to buy more, which is very hard for me to do, especially when I see some nice colours. 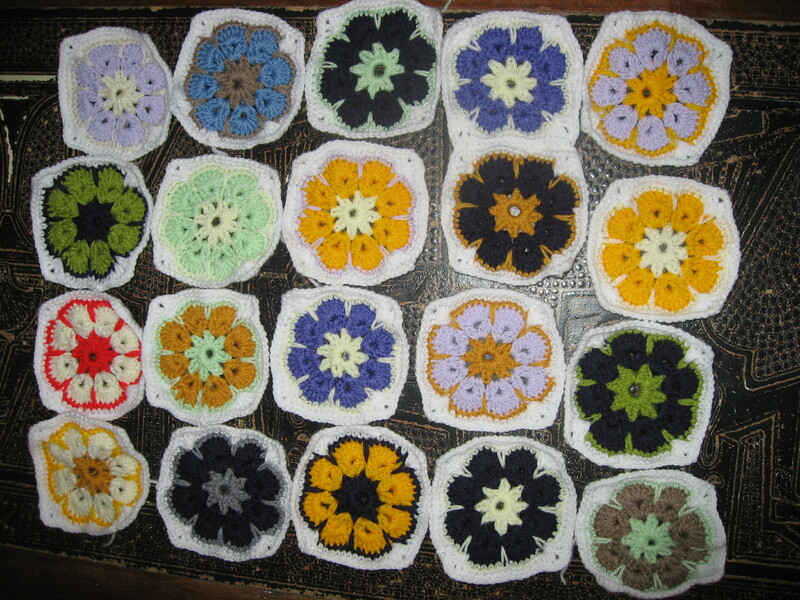 Now, I have a project to make Granny squares in crochet to use all the odd wool I have. I started in June 2012 and I have made 20 squares so far.